The Denver Nuggets had a chance on Saturday night to bolster their standing as the No. 8 seed in the Western Conference, hosting a Charlotte Hornets team playing the final game of a West Coast road trip. Instead, Denver came out flat and saw their lead on the final playoff spot in the west slip to 2.5 games. Denver held a 17-11 lead early in the first quarter, but Charlotte went on a run to end the period and take a lead they would not relinquish. Kemba Walker scored 27 points in the win and Johnny O’Bryant III, who played on two 10-day contracts with Denver in late January and early February, scored a career-high 15 points off the bench for Charlotte. O’Bryant appeared in five games for Denver between Jan. 26 and Feb.16 on his short stint in Denver; his previous career high was six points in a loss to Cleveland on Feb. 11. The Hornets signed him to a 10-day contract on Feb. 24. Nikola Jokic and Danilo Gallinari were again the catalysts for Denver on offense, scoring 31 and 22 points respectively. Both are averaging 22 points per game so far in March. Jamal Murray scored 14 points off the bench. Denver struggled from the 3-point arc, connecting on just nine of 30 attempts on the night. 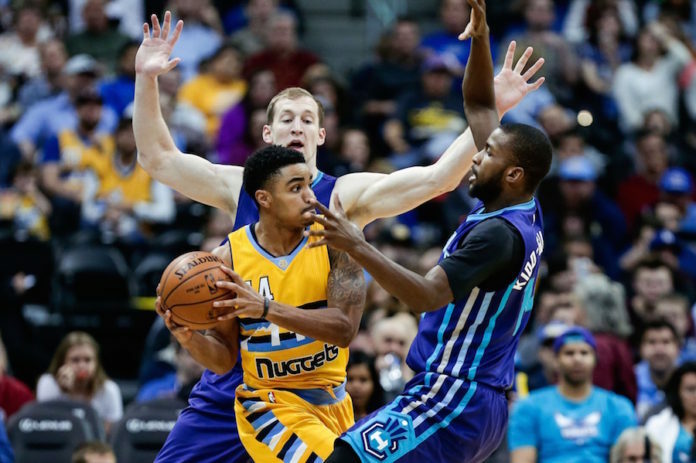 Gary Harris was held scoreless and attempted just one shot in 22 minutes on the floor. The Nuggets committed 13 turnovers to Charlotte’s five. Denver’s loss, coupled with a Portland win, cuts the Nuggets’ lead on the eighth seed in the west to 2.5 games. Denver had won two impressive games in a row, earning back-to-back road victories over Chicago and Milwaukee earlier in the week. The Nuggets host Sacramento on Monday; the Kings are 3.5 back of the Nuggets in the playoff chase.